引用格式 王飞跃,曹东璞,李升波,邢阳,郭洪艳,吕宜生,李力,吴甘沙,“自动驾驶技术的挑战与展望”, 人工智能, 2018, No. 7, pp. 85-93. Wang F Y, Zheng N N, Cao D, et al. Parallel Driving in CPSS:A Unified Approach for Transport Automation and Vehicle Intelligence[J]. IEEE/CAA Journal of Automatica Sinica, 2017, 4(4):577-587. Janai J, Güney F, Behl A, et al. Computer Vision for Autonomous Vehicles: Problems, Datasets and State-of-the-Art[J]. 2017.. arXiv:1704.05519v1, 2017. Long Xin, Pin Wang, Ching-Yao Chan, Jianyu Chen, Shengbo Eben Li*, Bo Cheng. Intention-aware Long Horizon Trajectory Prediction of Surrounding Vehicles using Dual LSTM Networks[C]. The 21st IEEE International Conference on Intelligent Transportation Systems (ITSC 2018), Maui, Hawaii, USA, Nov 4-7, 2018. Jianyu Chen*, Chen Tang, Long Xin, Shengbo Eben Li and Masayoshi Tomizuka. Continuous Decision Making for On-road Autonomous Driving under Uncertain and Interactive Environments[C]. 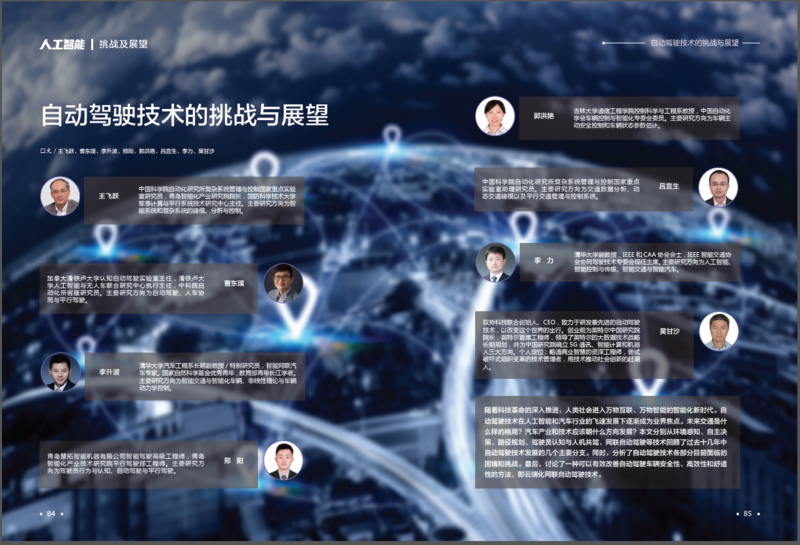 The 29th IEEE Intelligent Vehicles Symposium, Changshu, Suzhou, China, June 2018. LeCun Y, Bengio Y, Hinton G. Deep learning [J]. Nature, 2015, 521(7553): 436-444. Koenig S, Likhachev M. Fast replanning for navigation in unknown terrain[J]. IEEE Transactions on Robotics, 2005, 21(3):354-363. R. Wallace, A. Stentz, C. E. Thorpe, H. Maravec, W. Whittaker, and T. Kanade, First results in robot road-following[C]. in IJCAI, pp. 1089– 1095, 1985. E. Kim, J. Kim, and M. Sunwoo, Model predictive control strategy for smooth path tracking of autonomous vehicles with steering actuator dynamics[J]. International Journal of Automotive Technology, vol. 15, pp. 1155–1164, 2014. Li, L., Huang, W.L., Liu, Y., Zheng, N.N. and Wang, F.Y., 2016. Intelligence testing for autonomous vehicles: a new approach [J]. IEEE Transactions on Intelligent Vehicles, 1(2), pp.158-166. González, David, et al. A Review of Motion Planning Techniques for Automated Vehicles[J]. IEEE Trans. Intelligent Transportation Systems 17.4 (2016): 1135-1145. Wang, F.Y., 2017. 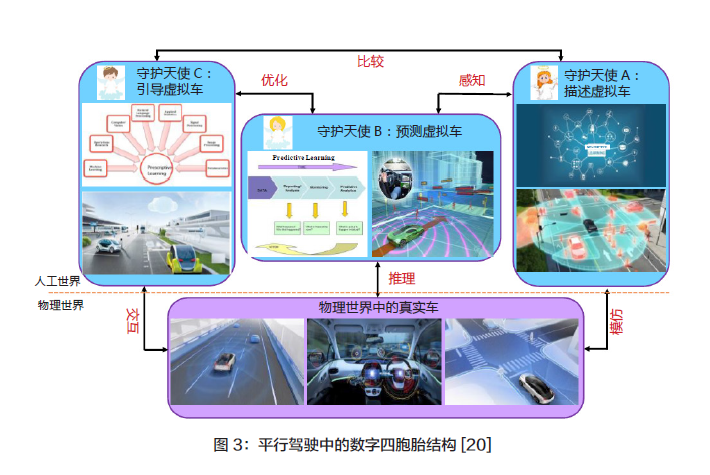 Artificial intelligence and intelligent transportation: driving into the 3rd axial age with its[J]. IEEE Intelligent Transportation Systems Magazine, 9(4), pp.6-9. Bueno M, Dogan E, Selem F H, Monacelli E, Boverie S, Guillaume A. How different mental workload levels affect the take-over control after automated driving[C]. In: Proceedings of 19th International Conference on Intelligent Transportation Systems.Rio de Janeiro, Brazil: IEEE, 2016. 2040–2045. 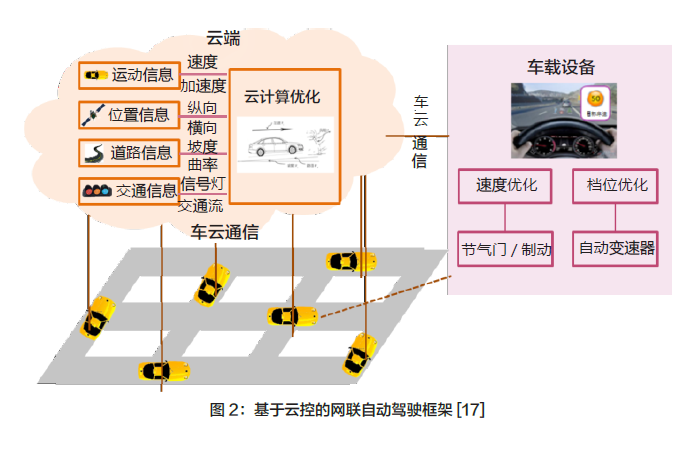 Wada T, Sonoda K , Tada S . Simultaneous Achievement of Supporting Human Drivers and Improving Driving Skills by Shared and Cooperative Control[J]. IFAC-PapersOnLine, 2016, 49(19):90-95. Li S. E., Gao F., Li K., et al. Robust Longitudinal Control of Multi-Vehicle Systems—A Distributed H-Infinity Method[J]. IEEE Transactions on Intelligent Transportation Systems, 2018, 19 (9): 2779-2788. Zheng Y., Li S. E., Li K., et al. Distributed Model Predictive Control for Heterogeneous Vehicle Platoons Under Unidirectional Topologies[J]. IEEE Transactions on Control Systems Technology, 2017, 25 (3): 899-910. 李克强，戴一凡，李升波，边明远. 智能网联汽车(ICV)技术的发展现状及趋势[J]. 汽车安全与节能学报, 2017, 8(1): 1-14. WANG F Y. The emergence of intelligent enterprises: from CPS to CPSS [J]. IEEE Intelligent Systems, 2010, 25(4):85-88. 王飞跃. 平行系统方法与复杂系统的管理和控制[J]. 控制与决策,2004, 19(5): 485-489. 刘腾, 王晓, 邢阳, 高玉, 田滨, 陈龙. 基于数字四胞胎的平行驾驶系统及应用[C]. 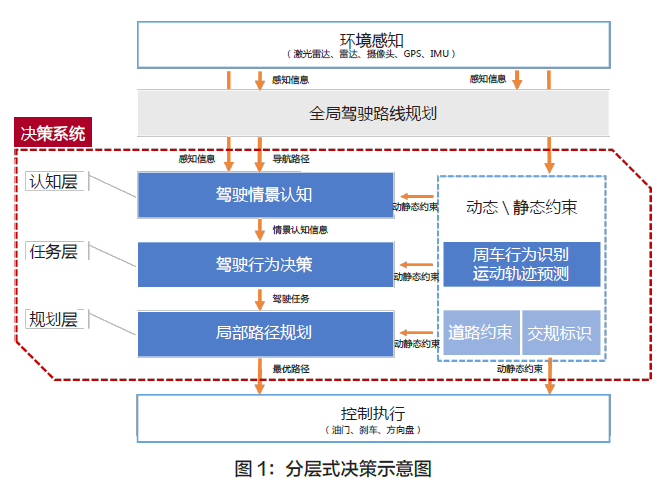 中国自动化大会ABB杯全国智能技术论文，2018.